I have recorded this music from old albums; the density of the cracking sounds is proportional to their age, to their life spinning on the record table, to be used or to stay idle in their sleeve. 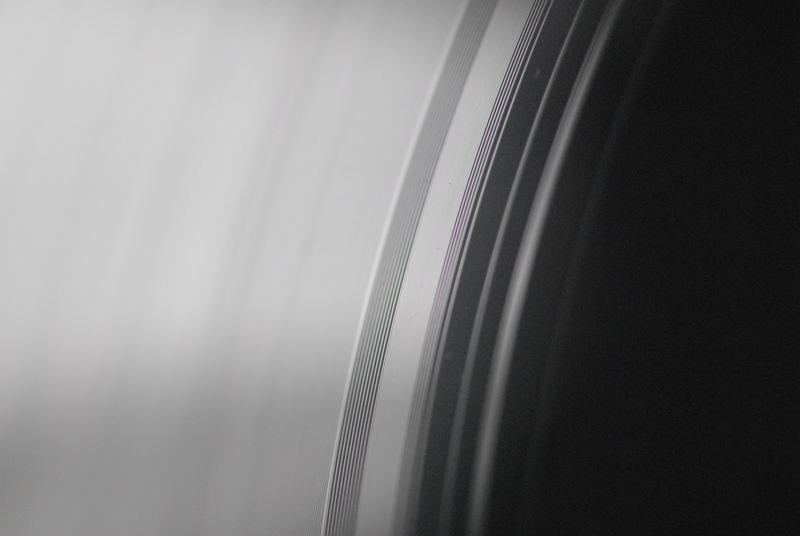 Placing the diamond on the rim of a vinyl, the sound become louder. A bright white spark and then, serendipitously, a pock, a crack takes place in a vibrant clamour. 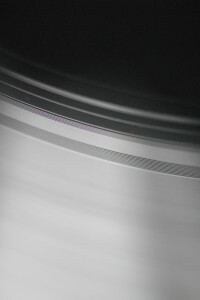 My intention was to highlight these hidden vibrations, which do not exist in new vinyl records. Their apparition is only due to their use over time. I wanted to exacerbate each frequency to build a musical environment giving a direction to our feelings. It is evident that each of us will draw a different experience depending on their personal history. A calming or disturbing sound, a sound which reminds us good and bad moments, a sound which opens itself and ourselves. Reading time at three different paces. 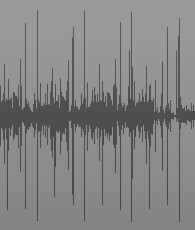 The sound of a microgroove where nothing was recorded amplifies over time the ghost sounds. This vinyl, after years of listening, displays an unfocussed picture of its evolution. Then, exactly when played, the diamond in the groove of a scratched record will cause a variation in the sound. The friction will create a hotspot on this part of the groove and then the initial sound heard will be distorted in such way that it will become very different after tens or hundreds rounds. After a few minutes, the record becomes unique. To finish the work of time, your listening experience of the album from Intemporal Analogic Sound will be different to all others by printing crackling and sounds… specific to you. And we are at the foot of temporal pyramid, going from a few years back until now. Each title offers the minimum, to encourage in each of us a feeling of going towards ourselves. The sound will dictate the nuance of emotions. To be as close as possible from a state of complete availability, a total isolation is suggested by some frequencies, some clashes asking questions and placing the listener in an immense space. Only then, he or she will be ready to let go. The direction taken depends of the souvenir of sensations, any of them. This experience with three different paces will make the time blurred until it disappears. Now we can start exploring our inner sensations that animate us. We will be collectively at the same place and individually in different locations.